A local Mid-Island, NY 10314Restaurant Nearly Burns to the Ground on January 23, 2011. A Japanese Steakhouse Restaurant caught fire and destroyed about 60 percent of the restaurant. The whole place suffered smoke damage. As of February 14, 2011, Valentine's Day, there was still a smell of a burned out building coming from the front door as crews of fire restoration men diligently worked to get the place back together. From the entrance you could see the extensive damage inside the restaurant where so many couples have celebrated anniversaries, children have enjoyed happy birthdays, companies have had Christmas Parties, and many delicious meals have been enjoyed watching talented chefs tell jokes while spinning eggs and making flaming volcanoes out of onions and burning vodka. HOW DID THE RESTAURANT FIRE START? I don't know how this particular fire started. I was told that the case is still under investigation. But, there could be several causes of a restaurant fire. For example, many restaurants have gas appliances as well as electrical appliances. Pilot lights are sometimes left lit on gas appliances. Paper could possibly fall on the small pilot light flame and start a fire. An apron or clothe could be left close enough to a flame to catch on fire and result in a whole building burning to the ground as a result of a restaurant fire. There are many other ways for a fire to start including electrical fires, and a lightning strike. However.. I have found that the most imortant cause of restaurant fires is due to cooking. Grease, animal fat, and vegetable oil all are flamable. And when these cooking substances come in contact with flames or extremely high heat, a fire can occur. Who knows in the case of this restaurant fire what happened? The end result of the fire damage was that the interior of the restaurant was almost gutted and it will require a lot of work and whole lot of money to get the restaurant back up and running. If you pass by the restaurant and look from Highway..... you will see that the whole building appears intact. You cannot see any fire damage from the highway. But, what you will see is big trucks and men working almost daily. There is a fire restoration company with lots of men working diligently trying to get the building back together. It appears that fortunately there is much of the restaurant that can be salvaged. Even more fortunately, nobody was injured or burned. All restaurants need fire extinguishers serviced annually, exit and emergency lights serviced annually, and inside the restaurant hood a there is an automatic fire suppression system that is designed to put extinguisher a fire automatically. If a fire occurs under the hood the automatic restaurant fire suppression system is designed to activate automatically in most situations when the temperature reaches 450 degrees. The temperature that the automatic system activates depends on the temperature that the fusible link inside the system melts. This depends on a whole lot of factors that fire protection companies are trained in. 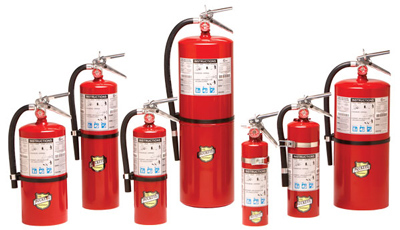 These Kitchen Fire suppression Systems must be serviced every 6 months by fire code. Churches, Daycares, and Schools need to have these type of fire suppression systems installed if not already installed and serviced every 6 months. Click Here For A To Learn a Secret That Many Restaurant Customers Do Not Know.